I’m Callum Rivett and welcome to my first blog on The Football Front. As you would have probably guessed by the title and recent events, this will be about Fabrice Muamba and his cardiac arrest during Saturday’s FA Cup tie against Tottenham. First, let me take you back to October 14th, 2006. It was Chelsea v Reading at Stamford Bridge in the Premier League. It didn’t start well. Just moments in, Petr Cech dived at a through ball to ensure a clean take, but the chasing Stephen Hunt caught Cech with his trailing leg, scans later revealed that Cech had fractured his skull. His replacement Carlo Cudicini was also carried off injured late into the match, forcing John Terry into goal for the remaining few minutes. These complaints brought about many changes in the medical procedure in a football match, some of which have possibly saved Muamba’s life. The response times are now quicker, more medical staff and vehicles are available, and better equipment is available and at hand in case of a situation like the unfortunate Muamba found himself in. Let’s not forget about the physiological effects to the crowd, the players and the staff. Some were crying, others praying and some couldn’t bear to watch. All Tottenham players after the game stated that they wanted screening for any possible heart problems, just to reassure themselves. 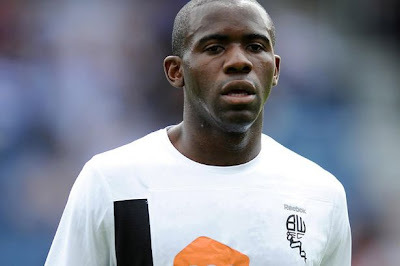 Bolton physic Andy Mitchell was the first person to spot that Muamba had collapsed, he then screamed to the medics: “Get on the pitch! Get on the pitch!” It showed the desperateness of the staff and players to see that Muamba was okay and alive. Muamba’s heart stopped beating four times say doctors, and he was given two defibrillator shocks on the pitch, another one in the tunnel, and a further twelve in the ambulance. A fan in the stands called Andrew Deaner who was a consultant cardiologist at London Chest Hospital ran on the pitch to lend his expertise. Luckily, reports now are that Muamba is talking English and French with visitors, having a joke with team-mates and recognising people. He can breathe without medical assistance and move his limbs, so he looks well on the way for a good recovery. Whether he will ever play football again is unknown, but every football fan out there wishes him the best of luck in rehabilitation and a quick and faultless recovery.